D'Orbigny Meteorite For Sale 1.3g DOR-4 - The Meteorite Exchange, Inc.
Small specimens of D'Orbigny meteorite. An Angrite type of achondrites characterized by calcium-titanium-aluminum rich pyroxene abundance. A 16.55 KG stone was found in Buenos Aires, Argentina. 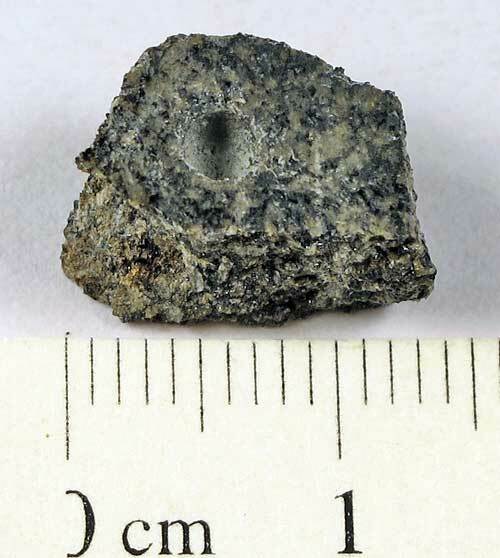 This is an interesting meteorite found with dark gray fusion crust and contains vugs and vacuoles.